ICAEW has announced a further makeover of the logo as part of a brand refresh. The logo will be progressively introduced from April 2017 after ‘a year researching (its) brand with key stakeholder groups’. ICAEW says it needs a strong, distinctive brand to differentiate ICAEW from competitors. Member firms will be able to use the new logo from April and have been told by ICAEW that they have until the end of 2018 to adopt the new logo (at their own costs). You can read more about the economia logo on our About ICAEW page. 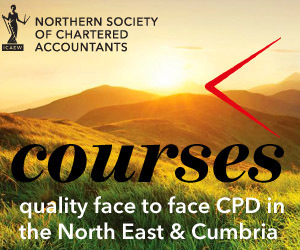 Northern Society of Chartered Accountants welcomes the refreshed ICAEW logo and we will use the new logo alongside the full name of our society where appropriate. Northern Society’s own logo (the N icon) will also continue to be used, reflecting the strong heritage of Northern Society at the heart of northern business since 1882.